I believe it is important to know a little about the person who you will be sharing your problems with so let’s start with an insight into my life. I am a mature, warm and sensitive person who has devoted many years of working within the ‘caring’ profession. 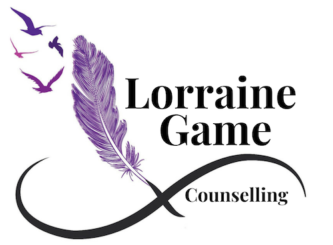 I have worked in Hospitals and Nursing homes, caring for Disabled children and adults and have a particular interest in Mental Health Issues. After losing my dad and being helped through Counselling myself, I knew this is where my future lay. I am a registered member of BACP and as part of my continuing development and requirements of the professional body, I attend regular training and last year received my Accreditation which shows my dedication and commitment to the work. I am a committed Mum and Nanna and have experienced many life changing events. Often, we are listened to but not heard. I will offer you a commitment of both within a confidential setting. Our sessions will focus on what you want and need and together my aim is to help you to help yourself to see a clearer way forward. I endeavor to create a relaxed and comfortable atmosphere which hopefully will help you to share your thoughts and feelings with me, which all too often can be difficult to discuss with family and those closest to you. Without passing any judgement I aim to help you through the areas you may be struggling with and by working together be able to find ways to enable changes for the better – for you. My practice is warm and welcoming and I look forward to sharing your journey with you.